I was blind before I saw you. I was deaf and couldn't hear. Thanks for supporting Bobby and Leslie! 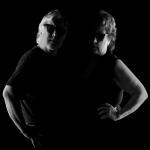 Would you like to help Bobby and Leslie get heard by industry pros by buying them a song submission credit to Broadjam Music Licensing Opportunities?